RATIONALE FOR SELECTION: After his aircraft was hit Maj. Goss did not indicate that he was injured during radio communications. He was observed to eject with a good parachute, and was seen to land on the ground. No subsequent correlated reports of death have been received for Major Goss. anti-aircraft fire. He asked if anyone was with him, making no mention of being hurt. While in a slight climb he was observed to eject and a good parachute was seen, A beeper signal was heard and his parachute was, seen to land on the north side of a steep, heavily wooded hill in the vicinity of grid coordinates XJ 172 906. The area was circled once, but he was not seen on the ground. No search and rescue efforts were conducted because of the location and approaching darkness. 2. During the existence of JCRC, the hostile threat in the area precluded any visits to or ground inspections of the site involved in this case. Major Gross is currently carried in the presumptive status of Dead, Body Not Recovered. 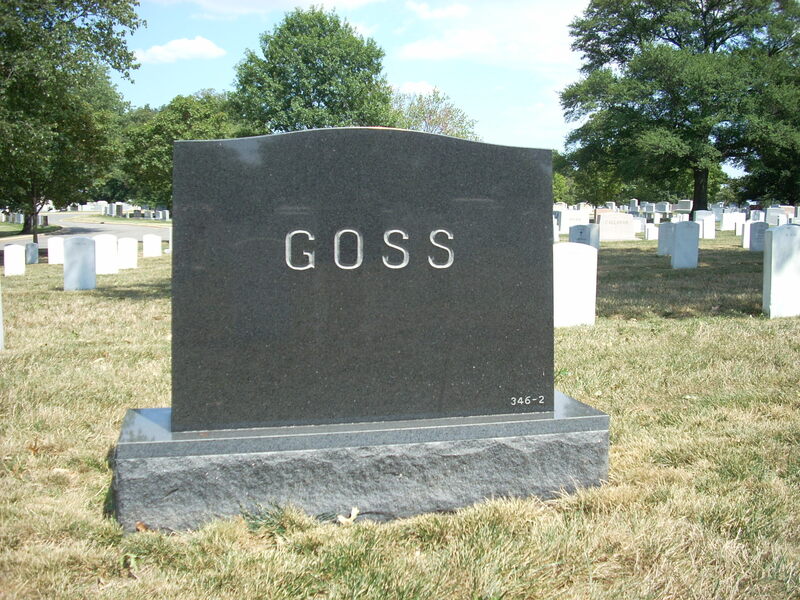 NOTE: Major Goss continued to be promoted until the determination of died, body not recovered was made, at that time he was a Colonel. 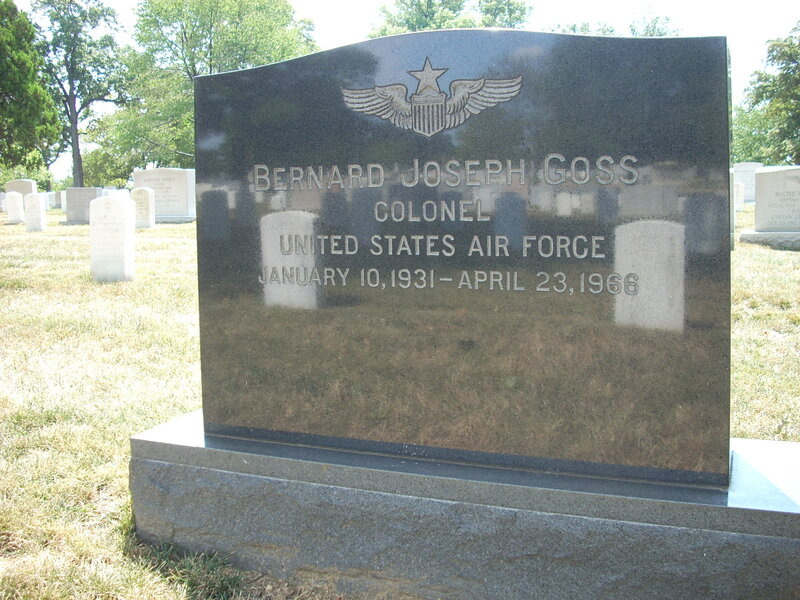 His remains were recovered in August 1978 and subsequenstly laid to rest with full military honors in Section 11, Grave 346-C, Arlington National Cemetery.